Major players in the Oil & Gas business have been coming to RAI for over thirty years for computing and visualization systems that have kept them ahead of their competitors. At RAI, our focus is in optimizing a system - not just a cluster! How you submit a job, how it's parallelized or paralyzed, where the data set is on the network or SAN, and what you do with your computational results is important too. It's not just about running LINPAC's. Interconnect latencies, memory bandwidth with the new multi-core CPUs, and how you visualize your data remotely are all important. At RAI, we work closely with our customers to thoroughly understand their business, where HPC fits in, and what their systems have to deliver for them to be successful. We do not 'sling' or simply re-sell hardware. Once we understand what drives your need for HPC, we focus on understanding your codes and operational environment. Some customers will dedicate a complete cluster's compute resources to running individual scientists' problems sequentially. Others dedicate smaller sub-cubes of the cluster to individual scientists to use at their leisure. In our HPC business, we find the need to customize around our customers operational processes. Today those processes impact HPC design even more. For example, some applications in sub-cubed scenarios, have all their data locally on the compute nodes, and therefore an interconnect fabric that is GigE, 10GbE or even 40GbE works well for computational work - saving the expense of using InfiniBand. In these same environments, where visualization (viz) is vey important, the performance of the Viz nodes is dependent on how fast they can get data from the computational results set. In those instance, RAI has often put in Infiniband QDR or FDR fabrics between the viz nodes in the cluster and RAID array/SAN running a parallel file system. As part of RAI's commitment to ensuring your HPC investment secure and long-lived, RAI is a member of the Intel® Cluster Ready program. 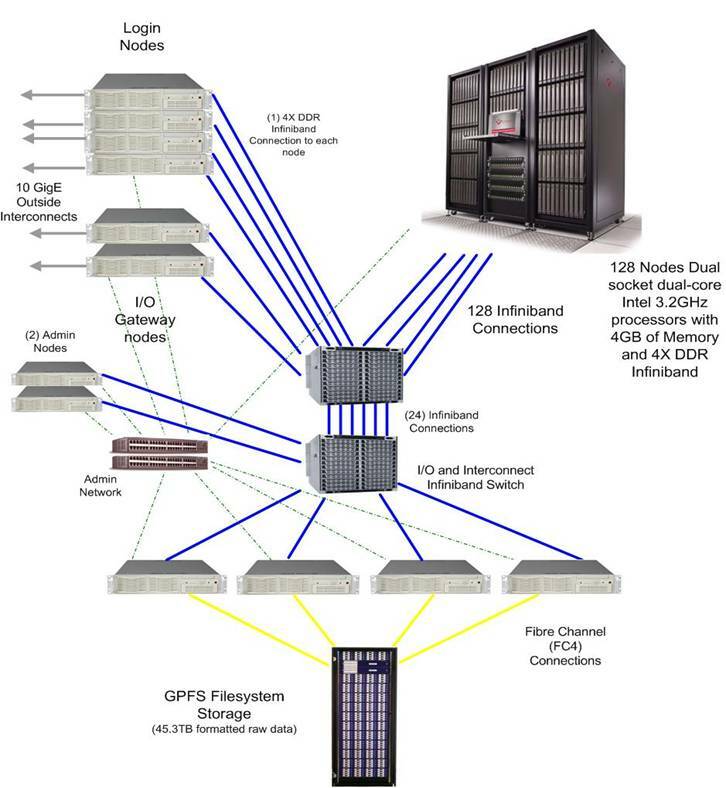 The program provides a standardized and replicable way to build HPC clusters and run high-performance applications. RAI delivers certified Intel Cluster Ready HPC cluster solutions that are easy to deploy, manage, and maintain. Additionally, the certified clusters let users run registered ISV applications "off-the-shelf," without requiring cluster reconfiguration. This allows individual groups to create and run their own clusters easily, accelerate their work projects, improve productivity, and drive results for their company. In the end, your HPC system simply works and gets the job done. To see what the latest technologies we are using in our host, compute, login, and NAS nodes please see our NODE product pages.